TURN OFF BY INCONSIDERATE PEOPLE WHO PUT THEIR LEGS ON EMPTY SEAT? DON'T BE ONE OF THEM! You are at:Home»Caught In The Act»TURN OFF BY INCONSIDERATE PEOPLE WHO PUT THEIR LEGS ON EMPTY SEAT? DON’T BE ONE OF THEM! TURN OFF BY INCONSIDERATE PEOPLE WHO PUT THEIR LEGS ON EMPTY SEAT? DON’T BE ONE OF THEM! 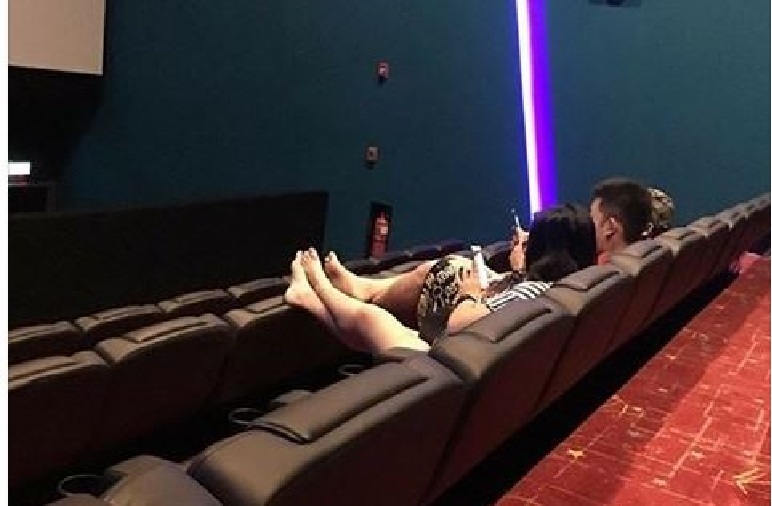 Cinema goers should be more considerate when going for a movie. Even though there isn’t any sitting in front of you, you shouldn’t be putting your legs on the other seat as if it is a leg rest right? What about the next movie goer who decided to take that seat and rest his neck on it. Wouldn’t he or she would have rested where you place your feet?